Dr. Whitfill is currently President of Lumetis, a national healthcare consulting firm, and Senior Vice President and Chief Transformation Officer for HonorHealth, a 6 hospital, community health system in Phoenix Arizona. Prior to that latter role, he spent 6 years as the Chief Medical Officer for Innovation Care Partners, a Clinically Integrated Network owned by HonorHealth. ICP holds risk contracts for over 100,000 covered lives across all types of insurance products including those with downside risk. As ICP’s CMO, he has lead clinical and informatics initiatives which have delivered cost savings across multiple payer sources including commercial, Medicare ACO, direct to employer and Medicare Advantage plans. Dr. Whitfill has spoken nationally about the policy around value based care and the real world experience of a CIN which was in the top 10 of CMS’ MSSPs in 2017. Dr. Whitfill received his AB from Princeton University, and his MD from the University of Pennsylvania. 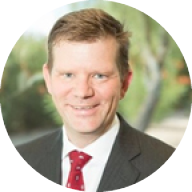 He currently serves as a Clinical Associate Professor in the Departments of Internal Medicine and Biomedical Informatics at the University of Arizona College of Medicine-Phoenix. He enjoys running, skiing and camping with his wife and three children.